Being able to move from one place to another. There must be a rebirth of desire. and in that sense what is already here and available to us in this moment. The knowing that all of the Universe is in support – God is in support of every last desire your heart has. The desires that were born from the Divine. to RECEIVE what is rightly ours, every man, woman & child’s birthright – life lived to the full. We are all here – because we are all connected. Something most of the world conveniently forgets, hence why we have labels. We wouldn’t have labels if everyone could see how connected we really are, and how the pain would subside when we see ourselves in every living thing, how hurting one hurts the whole. Here’s the part I know so many are still stuck on. We haven’t figured out how to tell ourselves a new story. We are stuck in the past. We are playing our past story – good or bad – on a story loop. It is still playing like it’s a new release, front and center, months, even years after it should have been replaced. or maybe they just get exhausted of watching your movie. The way your bank account is supposed to be like. TIME FOR THE VHS TO BE EJECTED! Is that at any moment in time everything you desire is available to you. You can shift your perception of ANYTHING. You can attract anything you desire to your life. You can transform your mind instantly. but that choice is up to you. You can disappear the past in an instant. Why are you holding on to it so tight? Was it better back then? Was it worse back then? Better question: does it really matter if it was better or worse back then? You are living like it really does matter. You can’t do anything about it anyways. So, why do you let your mind always go there? I mean, ALWAYS go there? What you have right here and right now is PRESENT. The present of being able to transform/shift your feelings and thoughts to the desire of your heart. You are allowed to do this. But you are not – and I’m going to guess it’s because somewhere, somehow, someone in your past denied you. They denied you when you got a chance to be the fullest-expression of yourself. They denied you when you got a chance to dance with life. They denied you love, wealth, health, family, friends. But then, again, no one can actually deny anyone of anything. And my loves, the worst form of betrayal is self-betrayal. We’ve all done it to ourselves, and that is the hardest to swallow. We are the ones who allowed ourselves to become disconnected from our true desires. We berated ourselves, put ourselves down. It’s so much easier to blame others than to take back what is really something we did to ourselves. Our phones are smart, so doesn’t that mean we are smarter? But we sit and bash, say mean things, criticize, hurt ourselves – on repeat. but what does matter now is – what can we do to shift into the place we are called to? And knowing that when we heal, we end up healing others. When we heal ourselves, we end up inspiring another to heal, to take that step out of the darkness and into the light? So, it’s like a win-win-win for you, others and the world. And I don’t know if there is a better way to…. PS. So, I have a proposition for you, my love. I want you to join me in shifting to this place where the desires of your heart meet true abundance. We do that through healing. We do that through talking. We do that through sharing. We do that through connecting. We do that through prayer and meditation. Do you know that everything you ever desired is on the other side of that shift – that transformation on repeat? We are going to HEAL your money story. This is the FREEDOM you’ve been seeking. BOLD CLAIM? Yes, damn right, you’ve got the support of the entire universe at your back and with God anything is possible. 30-Days of Soul Shifting Guidance. 30-Days to RECEIVING all that life has to offer you. It may be messy. It may be painful. 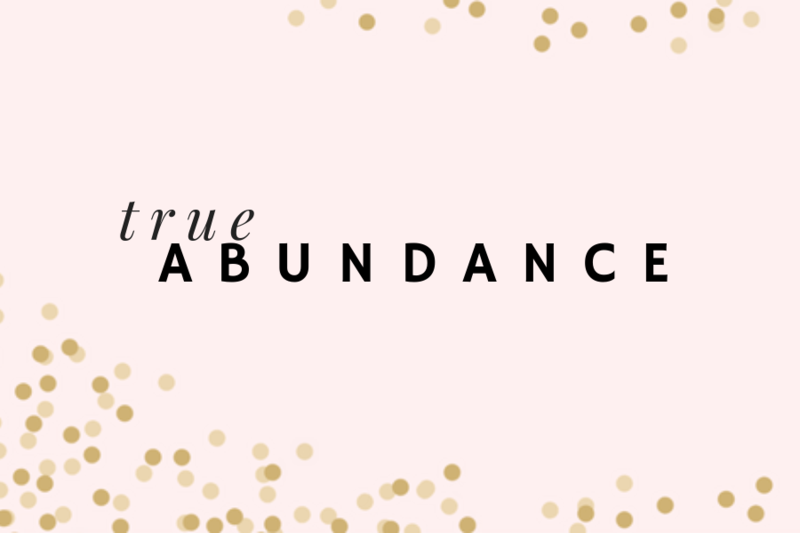 It might not be pretty and wrapped up with a pink bow – but, my dear sister, it is going to be AMAZING to shift your life into #trueabundance ! This is available for you. Did I mention it was FREE?! And please, PLEASE, Share this email with a friend! STRUT WITH ME! Sign up for access to my FREE E-Book to help you create FINANCIAL BLISS!